San Diego has been labeled as "the birthplace of California?. San Diego is one of the a major cities in California, United States. The city is the economic center of the region as well as the San Diego?Tijuana metropolitan area. San Diego is also a hub of one of the largest private-sector employers and employees. With the cry out for competitive job-holder, it is needful to be upgraded with advanced courses to expand the scope of our career. With that notion in mind, KnowledgeHut academy is now a Silver partner with Scaled Agile Academy to impact the performance of software delivery in a positive way. 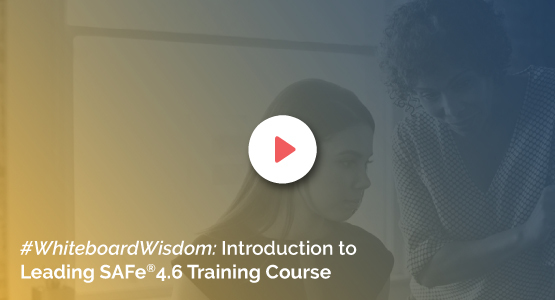 We are introducing Leading SAFe 4.5 course in San Diego to furnish the biggest picture that makes it easier for the workforce in any organization to operate collaboratively. Enrol yourself and be certified as Leading SAFe 4.5 Agilist in San Diego. The coaching is organised to be a two days' Leading SAFe 4.5 workshop convenient to attend amidst your busy schedule. By the end of the course you will be able to embrace Lean and Agile Values, experience PI Planning and build an Agile portfolio. You are provided with choices of classroom training as well as e-learning online course. There are hand-picked professional trainers with more than 20 years of experience to train you to pass the exam successfully. As an additional benefit there are free downloadable materials for your reference. Overall, the course has all the necessary modules and components for an industry oriented curriculum ensemble.